Some transactions, despite the agreement both parties have come to, might see the need to cancel or quit. Just as your tenancy needs to be terminated because you may have violated some terms of agreement for example. Your landlord will then send you a Notice to Quit to notify you of your tenancy eviction. In some cases, like when your firm needs to construct another building, cater to specific work which requires planning permission, or whether you’d like to have a change of materials in use to which building regulations may apply, you will have to recognize that these things require a Commencement Notice. What is a Notice of Cancellation? 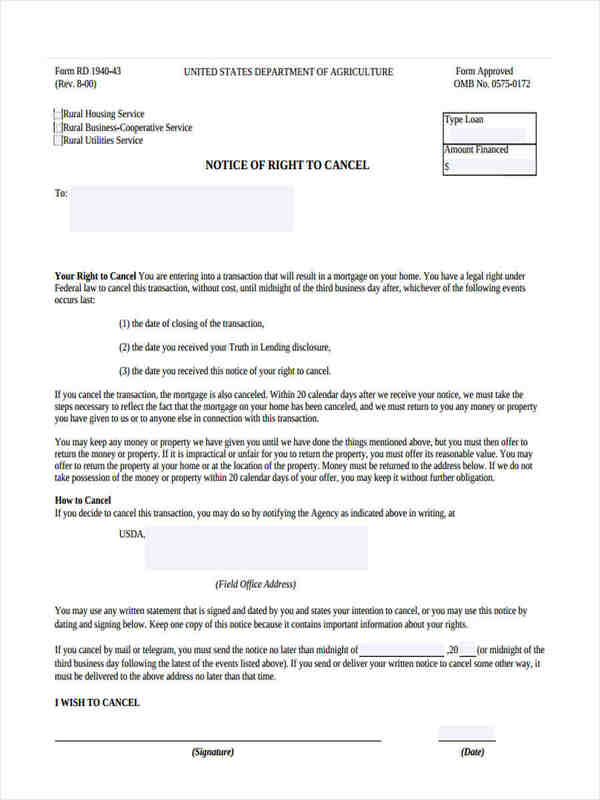 A Notice of Cancellation is a formal document that serves as a notification to the recipient that his service, transactions, or acquisition of rights is about to be canceled or terminated. 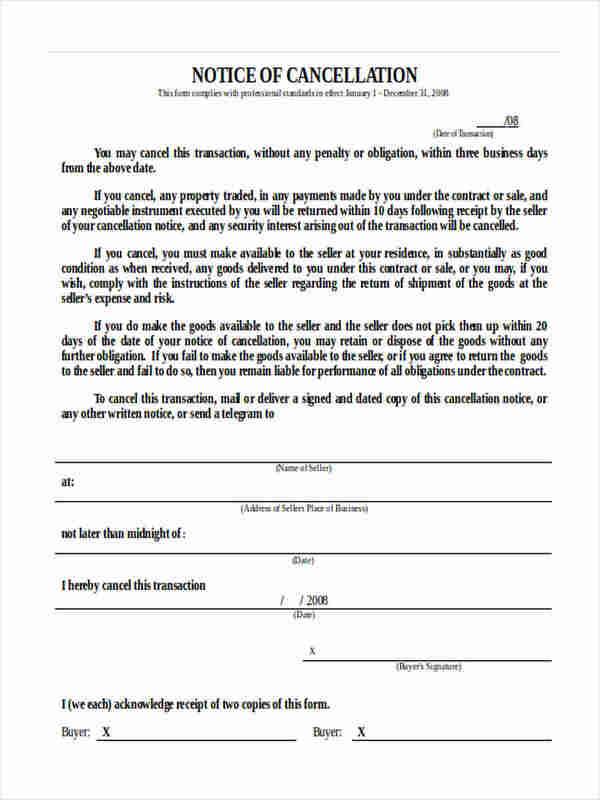 Given the example above where your landlord will send you a Notice to Quit or an Eviction Notice Form, this would mean that upon completing such form and conforming to it by affixing your signature, you should leave the rented premises within the duration agreed upon in the document. 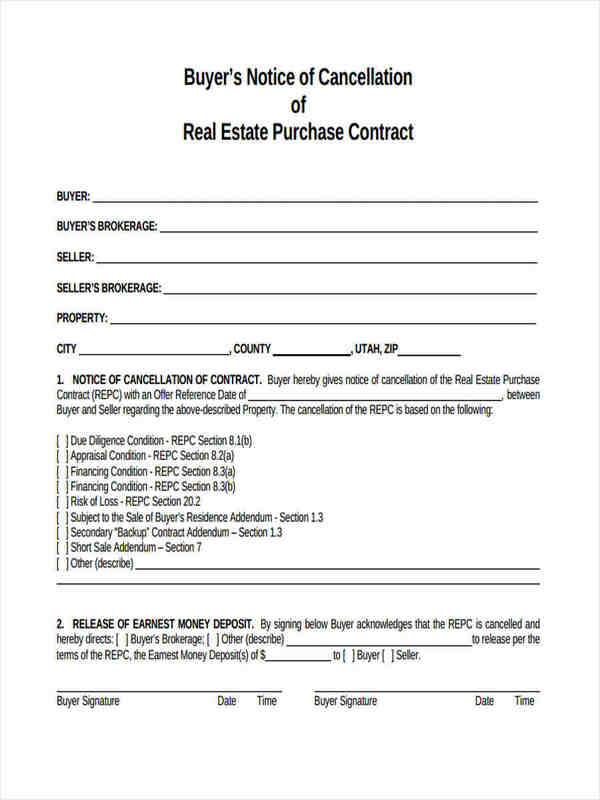 This Notice of Cancellation is a proper way of ending a contract between two parties because of certain strains or violations of agreed terms. Why did I Get a Cancellation Notice for My Order? 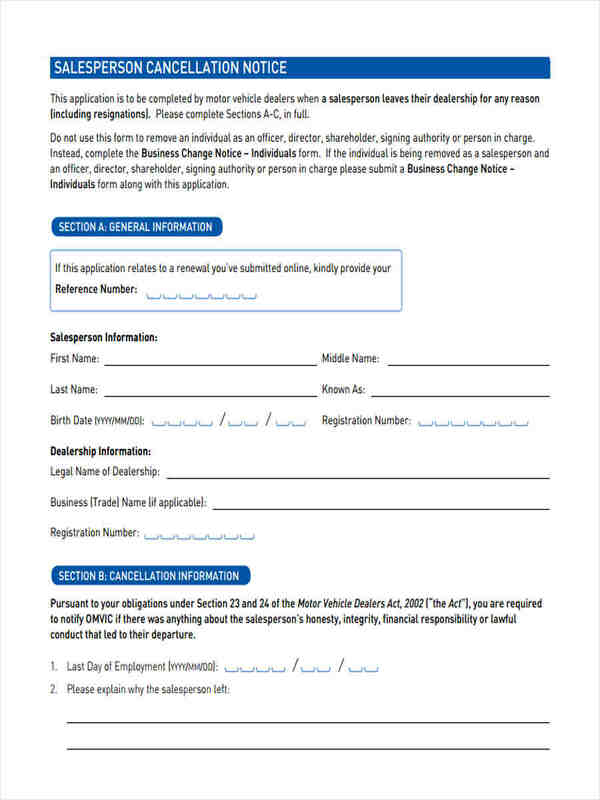 As you can see from various Notice Form Examples, there are many types of notices one may receive ranging from legal notice of appearances, evictions, authorization, end of your employment, and even a notice for the cancellation of your orders. In the case for example, when you have bought a new dress online and you wonder why you got a notice of cancellation, reasons may vary, but is not limited to the following: your order is still out of stock, or your payment and contact details might not match with your bank account details, or you may have provided a wrong address. 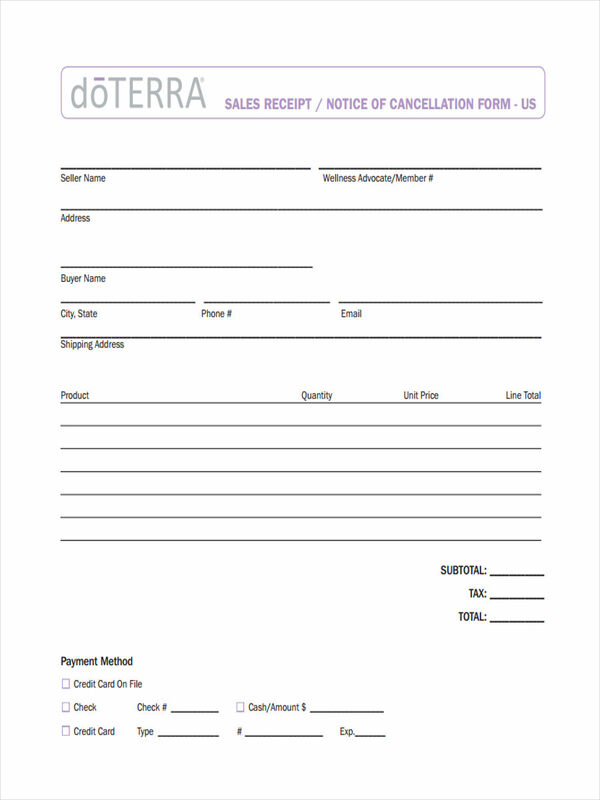 There are many guidelines that you should follow when it comes to writing or sending out a Notice of Cancellation. 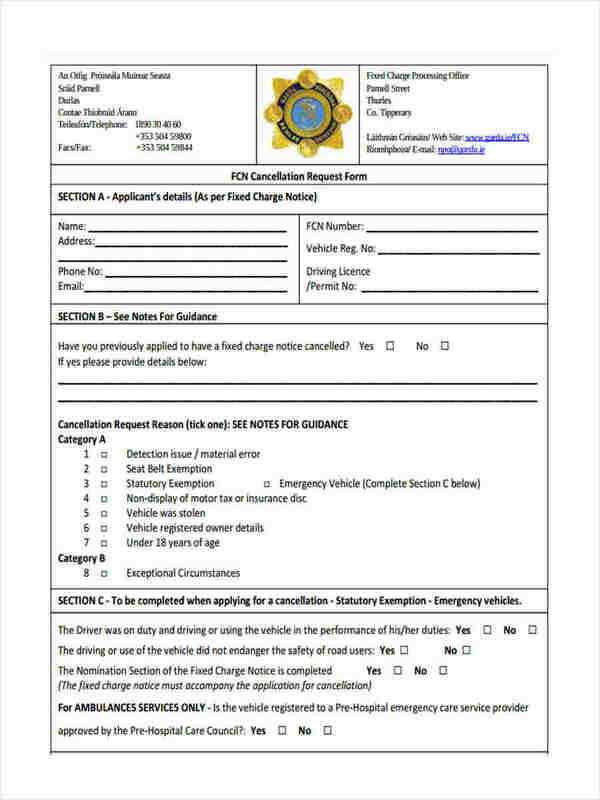 But what is common to most is that these notices should be have a 30-day preparation period for the recipient. 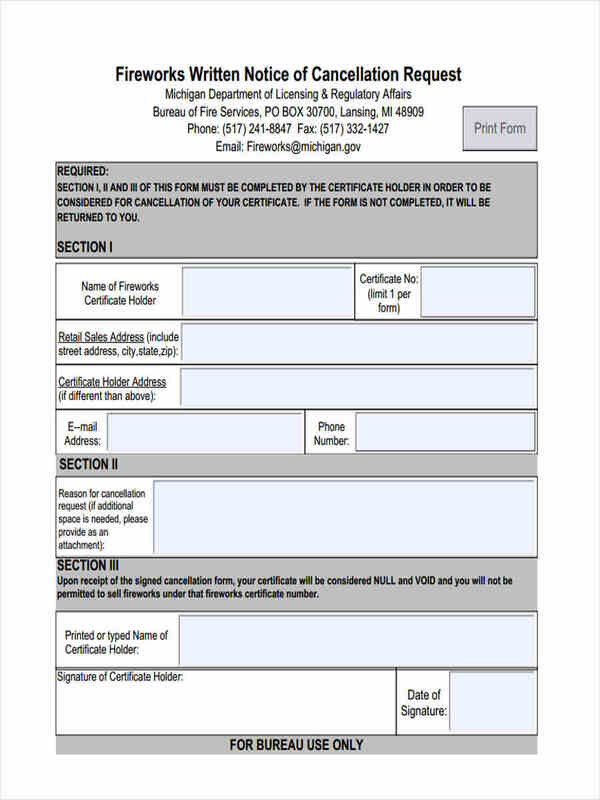 All notices of cancellation should be received by having the recipient affix his signature on the letter or it should have a return receipt request form. All notices of cancellation shall include the reasons behind cancellation. All notices of cancellation shall include the date when the notice has been sent and the date when the notice shall take effect. All notices of cancellation shall include a statement wherein the sender of the notice or the organization sending the notice should not be held liable for damages or any costs brought about the cancellation. 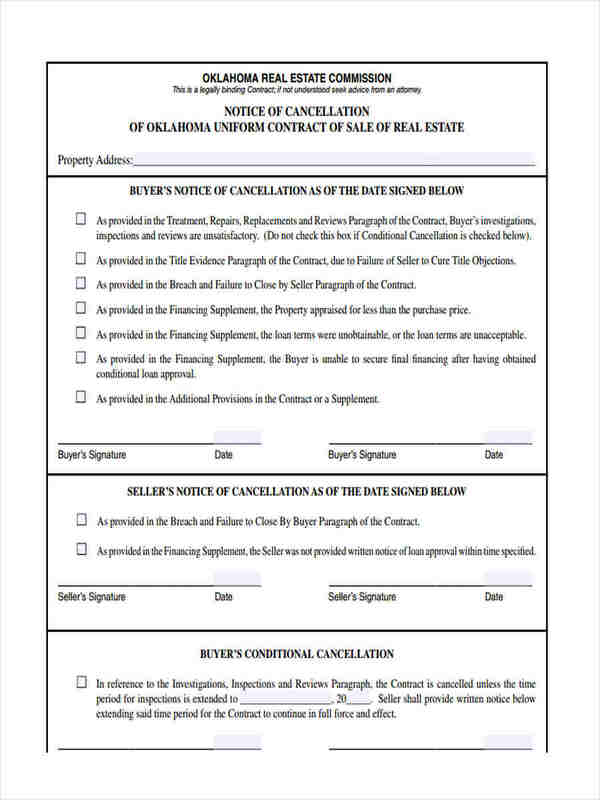 Some notices of cancellation, especially if the buyer cancels a reserved property, must indicate that there will be charges for reservation to be applied. Some notices of cancellation, especially those which declares non-appearance before the law should need a copy of power-of-attorney.